Ranked as the 34th largest economy, it is one of the prospective emerging markets in the world. The GDP of Philippines has been increasing steadily, and the country has trumped India as the leading destination for call centers. Unlike residents of many other emerging markets, Filipinos speak English fluently, and the country supplies low-wage workers that appeal to large companies growing their operations overseas. The Philippines is considered a newly industrialized country, which has an economy transitioning from agriculture to services and manufacturing. In 2016, GDP by Purchasing power parity was estimated to be at $811.726 billion. Starting a business in the Philippines for foreigners has become a lucrative proposition over the years. Between 2006-2012 (based on a census) a total of 13311 companies began their operations and the primary growth derived was from the services industry. This expansion is attracting foreign business owners to invest and start their business in the Philippines. Here are the three main types of corporate entities primarily used for starting a business in the Philippines: sole proprietorships, partnerships, and corporations. A Sole Proprietorship in the Philippines is the most basic type of business organization. It can be established by just one person, referred to as a sole proprietor. Mostly, a business in a sole proprietorship is an extension of the business owner himself/herself, so the assets and liabilities of your company are also your assets and liabilities. As an owner, the profits are solely for the entrepreneur running the business. 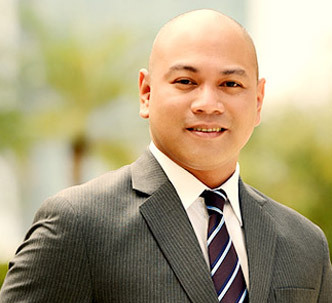 A Partnership in the Philippines requires two or more people who agree to contribute assets, with the intent of dividing profits among all parties involved. A structure can be chosen as in the case with limited or unlimited liabilities. For partnerships, registration is required with the Securities and Exchange Commission. A Corporation in the Philippines is comprised of many individuals who act as a single entity to advance the interest of the company as a whole. For a corporation minimum, 5 shareholders are required, and the profits are distributed based on the amount of share capital brought in by the shareholders. A Branch Office in the Philippines is an extension of a foreign company carrying out an undertaking in the Philippines. The reasons behind opening a branch office could be for including serving a single client, penetrating a new market, or to make a wider outreach for a company. A Representative Office in the Philippines can be set up to promote its parent company or for conducting market research. It acts as a local liaison office for a foreign corporation that seeks to establish a corporate presence in the country without engaging in income-generating activities. Here are some of the leading steps required to comply with when starting a business in the Philippines. For sole proprietorship registration, the entrepreneur needs to register through the Department of Trade and Industry (DTI). Interested parties can also do their DTI business registration online. For corporations and partnerships, registration needed with the Securities and Exchange Commission (SEC) i-Register Facility. For Sole proprietorship registration a DTI Business Name Certificate is required. Corporations and partnerships need to secure an SEC Certificate of Incorporation/Partnership. For businesses who rent commercial space, a Contract of Lease is required. For companies that operate on private lands, you need to secure a Land Title. For businesses which function in a subdivision, condominium complex or village, you need to obtain a Homeowner’s Association Certificate. Mayor’s permit: The requirements for the mayor’s permit vary per municipality, but mainly, the list includes a contract of lease, barangay clearance, occupancy permit, sanitary permit, fire permit, and a community tax certificate. Secure a Certificate of Registration (COR) from the Bureau of Internal Revenue (BIR). Once the business has been registered, employee requirements are the next important. Registration of Social Security System (SSS), PhilHealth, Home Development Mutual Fund (HMDF)/PAG-IBIG, and BIR are some of the critical items to be ensured in place. When does a corporation need to submit their income statement to the government for compliance reasons? Corporations are required to file quarterly income tax returns (and pay the corresponding tax) together with an accompanying financial statements including an Income Statement. Monthly VAT returns will require a supporting schedule of income and expenses. How often do we need to renew our business or mayor's permit? Business permits expire on the 31st of December (unless permits are issued on a quarterly basis) and must be renewed annually. Renewal is every January, depending on the city or municipality where the office is operated. What are local government permits and why are they necessary to my registration? It is necessary to register and obtain a licence from the Local Government Unit to legalize your business in the city or municipality where you intend to locate your business. What is the most cost-efficient corporate set up? For services offered only to the enterprises’ branches, subsidiaries or affiliates, ROHQs are taxed 10% of taxable income compared to the 30% tax of Domestic Corporation and resident and non-resident foreign corporations. Enterprises may avail of tax incentives, depending on their proposed business activity. What is the difference between a Representative office and an ROHQ? A representative office, when compared to an ROHQ (Regional Operating Headquarters in the Philippines) is an investment vehicle that only allows representation of an office in the Philippines which limits its activities to deal directly with clients of its head office located in the Philippines and only provides information dissemination about the company’s products / services and quality control. A Representative office, therefore, is a cost center that should not be fully subsidized by its parent office and may not derive income from the Philippines. To maintain the same, an inward remittance of USD 30,000 must be remitted to the Philippines for operating expenses. On the other hand a ROHQ is allowed to derive income in the Philippines by providing qualifying services to its branches, subsidiaries, or affiliates in the Philippines and other foreign markets. An ROHQ is prohibited from offering its products or services to enterprises other than its branches, subsidiaries or affiliates. What is the timeline to incorporate a company in the Philippines? The registration process including the opening of a bank account and application with government agencies normally takes 8-12 weeks. Securities and Exchange Commission (SEC) registration alone can be completed within only 2 weeks.